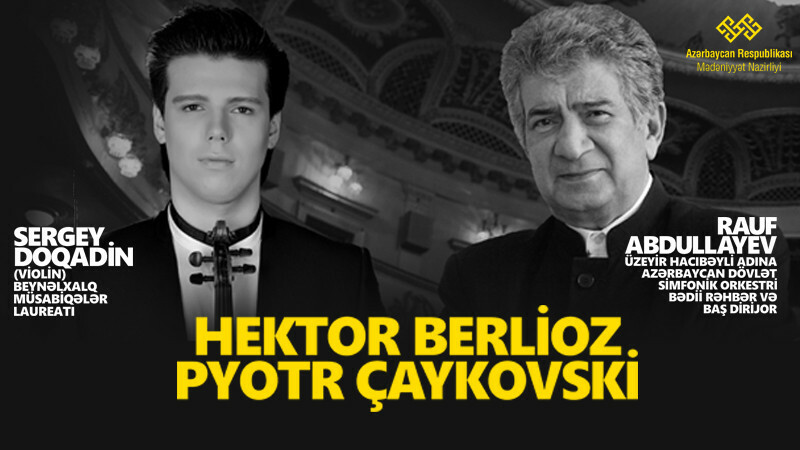 Rauf Abdullayev & Sergey Doqadin in Azerbaijan State Academic Philharmonic Hall buy tickets online. Delivery of tickets for the event Rauf Abdullayev & Sergey Doqadin. Tchaikovsky composed the violin concerto in 1878 (D dur. Op 35) when he was in Switzerland. During the composer’s lifetime this concert was widely recognized and became an integral part of Russian musical culture. The brilliant virtuosity of the solo instrument part is combined here with genuine symphony, music temperament, brightness and richness of color.